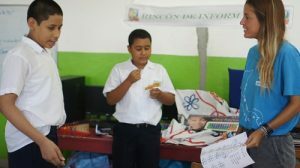 Education in Central America, a commitment of all. Since we started working in these arch for better opportunities and tools that help our children at tainan education with quality, we have realized that education is not only there’s possibility of governments, but also a share responsibility with parents,teachers, organizations and the community. May be the question is… What are we doing? Perhaps in your country, the issue of education is not a topic to be concerned about at the moment. However, there are countries in which this situation is not very favorable and everyday raises questions about the subject. 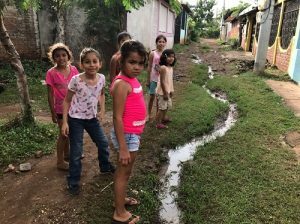 These difficulties that Central America faces bout education are complex and diverse. They have been on the agendas of governments for decades, but very little has been achieved. Not Advancing in education for a country means to continue in low economic development, not using resources efficiently, and not being able to develop the necessary skills and knowledge necessary to face the challenges and changes of globalization. To mention some deficiencies in Central America regarding education, we find a low percentage of investment in education with respect to countries’ GDP, lack of adequate infrastructure for education, increase in school dropout and poor teacher training. We could mention many others and we couldn’t finish. The important things to be aware of this problem and what we can do to improve the situations. Adventure Volunteer feels apart of the construction of a better future for everyone who needs it. We star From a community that believes in education and our children. 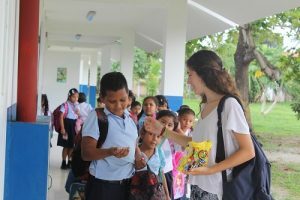 It is one of the reasons why we work in social programs focused on teaching and school reinforcement in several countries such as Panama, Costa Rica, Guatemala and Nicaragua. 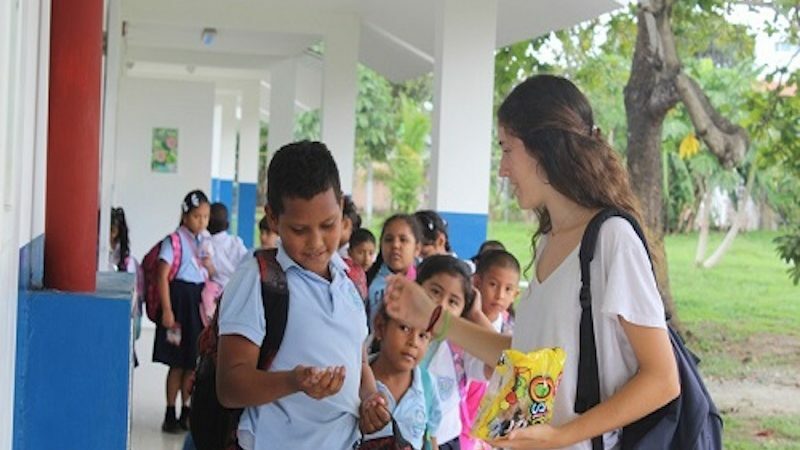 Many Volunteers, when looking for information on the requirements to participate in a volunteer program in teaching and school reinforcement, find that you do not need to be a specialist in the tarea. You ask yourself Why isn’t it necessary? It is important that you have general knowledge in basic subjects. This knowledge soften acquired by your day-to-day experience because have taken a career, but you are not a specialist in education or in some of those branches. The important thing in this type of work is the dedication and desire to transmit what know in a way that children, you thor women understand. You should enjoy what you are going to do, in this case, work with children. Having the Ability to connect with them is important. Many Children See You as someone they can support. You Must be aware that will deal with children who may have a learning problem. So you should have more attention with them. Surely the Experience and learning acquired is priceless. Without forgetting the smiles and the affection that the children transmit to you, you will take it with all your life. Not all school periods in the countries of Central America are the same. They have Different Start dates and it is between the months of January and November, holidays are included. When volunteering in teaching, you should keep this in mind. But you can start NOW to plan your volunteer trip. While You can get to know new cultures, visitunique and emblematic places in neighboring countries. Do not miss these opportunities, take advantage, it’s your moment! decided to browse your blog on my iphone during lunchh break. I love the information you prkvide here and can’t wait to take a look wgen I get home. I’m shocked at how qick your blog loaded on my mobile ..
I’m nott even using WIFI, just 3G .. Anyhow, awesome blog! I go to see everyday some web sites and blogs to rdad articles or reviews, however this weblog gives quality based posts. This article offers clear idea for the new people of blogging, that truly how to do running a blog.